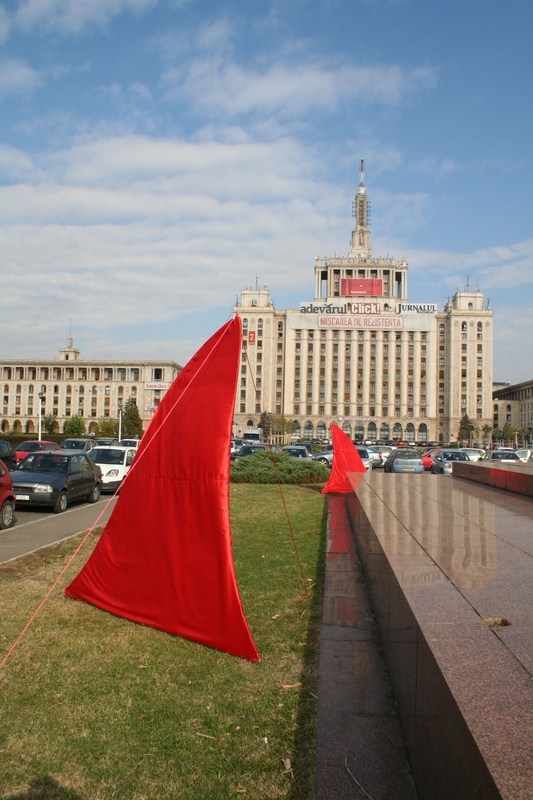 My wall was created and temporary display in Bucharest in 2012 as a part of Expanded space art program (Expanded space – migration and relocation, 2011; Expanded space – individual and mass, 2012). The program aims to challenge and change the way Romanian public space is perceived, both in terms of its geographical limits and from a conceptual point of view, contributing to its transformation from a space shaped by economic or social grievances into a space of artistic expression. My wall is about past and present, about the destruction of identities made by the communist regime that continues until today, about the remains of failed lives. This entry was posted in proiecte 2012. Bookmark the permalink.